after a brief hiatus, I’m back! It was another busy August, with events at Sepang. 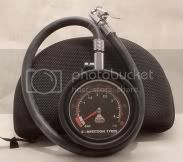 (the 12 hour endurance race) and a trip to the Bhira Circuit in Thailand, anyway details later. so just starting off on a light note, here’s some simple exterior modifications, quite cool how it changes the look of the NC mx5, ever slightly. 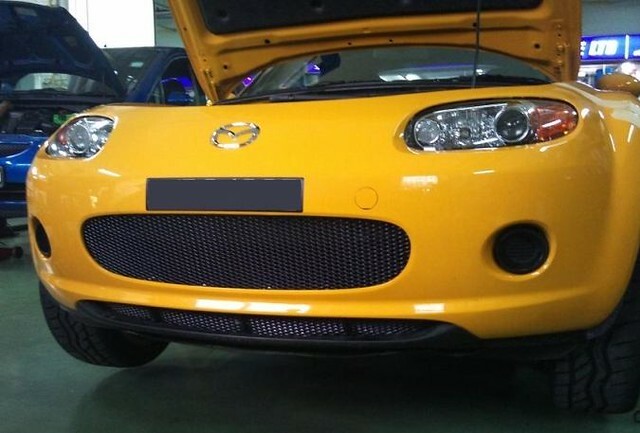 in this first example, we swapped the original Mazda grill for a simple aftermarket mesh, we picked a mesh that had a slight slant in it, so that standing in front of the mx5, I wont be able to see the bumper support bar that actually covers the top half of the grill. We also covered in mesh, the lower ‘mouth’ that sits beneath the mx5 ‘mouth. Adding this mesh is quite important I feel, especially if you have seen my stone riddled aircon condenser. the next other simple modification for the NC, is replacing the original Mazda antenna with a shorter Honda antenna. On many NCs I noticed that the antennas tended to harden and crack after only a few years. Also the original Mazda antenna made the NC Mx5 look very ‘toy like’ as it looked like a remote control car aerial. and so we replaced it with the Honda antenna and obviously sticking to original parts would ensure that radio reception wouldnt suffer. so there we have it! Simple mods that changes the look of the NC ever slightly, sharpening up the lines of the car. This entry was posted in NC MX5 ownership. Bookmark the permalink.